The 10 Best Burgers in West Virginia! 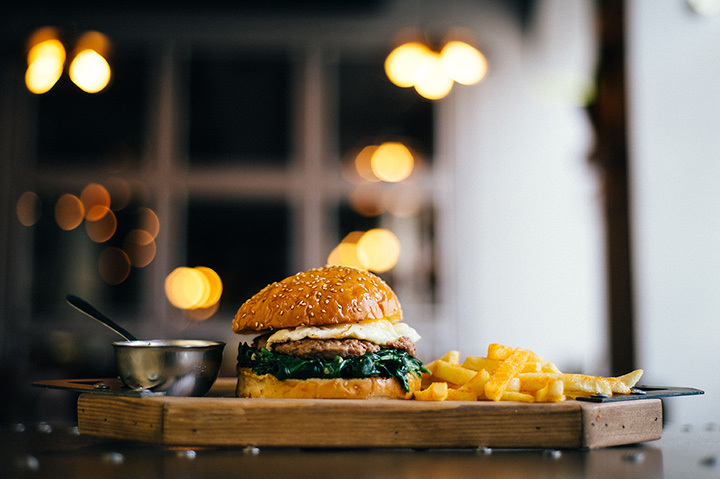 Whether you like your burgers pan fried, barbequed, or flame broiled, with cheese or without, plain or with everything including the kitchen sink, classic or gourmet style, you’re sure to find something to your liking at the best burger places in West Virginia. The origin of the burger is widely disputed, but no food has become such a favorite as the American hamburger served with French fries. Try one or try them all, but you’re certain to find a favorite. With several locations in the Mountain State and neighboring Kentucky, Fat Patty’s in Huntington, West Virginia, will satisfy even the most finicky palette. With a full bar that includes draft and bottled beers, wine, and cocktails, your taste buds will be tempted with such combinations as the raspberry popper burger, a hamburger topped with cream cheese, sautéed jalapenos and a signature raspberry melba sauce, the “Born on the Bayou” burger, blackened with Cajun spices, sautéed onions and peppers, provolone cheese, and a honey mustard glaze, or the Vampire Killer, a burger with enough garlic and melted Pepper Jack cheese to knock ‘em dead. The next time you’re near historic Shepherdstown, West Virginia, make sure to stop by the Blue Moon Café. With a wide variety of food choices, this quaint little eatery offers some surprising and delicious options. Most of the ingredients used here come from local suppliers and there are plenty of vegetarian and vegan burger choices. Every Wednesday is open mic night, so come with friends and sing for your supper. Looking for a place to join friends for a laidback evening and great food? Sam’s Uptown Café in Charleston, West Virginia, will provide that and more. Serving hungry customers for over 20 years in the downtown area, Sam’s was voted “Charleston’s Favorite Nightlife Spot” by the Charleston Convention and Visitor’s Bureau last year. Sam’s has free Wi-Fi and a relaxed lounge with comfy couches where you can chill, enjoy a favorite beverage and burger, or just jam with friends. They have handcrafted burgers like the Samburger, a half-pound of fresh ground beef mixed with sausage and topped with your favorites or the Southwest Burger, another half-pound burger with jalapeno bacon and Pepper Jack Cheese. If you crave the taste of a classic burger, shake, and fries, then Tailpipes in Morgantown, West Virginia, should be on your list of places to visit. From the fresh sautéed mushrooms to the special secret dipping sauce for the fries to the great customer service, hungry patrons will have their cravings satisfied and leave full and happy. The fun menu features burgers named after cars like the GTO, a burger with spinach, roasted red pepper, feta, and gyro sauce served on a wheat bun, or the Corvette, a burger with fried green tomato, pimento cheese, smoked bacon, coleslaw, and Carolina BBG sauce on a white bun. Try any of their signature burgers and fries for $10. Gourmet burgers and creative comfort is what Avenue Eats in Wheeling, West Virginia, is all about. The mission of this establishment is to “satisfy the taste buds of a flavor-deprived community.” With resounding positive feedback on foodie sites like Yelp!, the thing that sets this restaurant apart is the unique combination of flavors, like the smoked gouda burger with fresh spinach, caramelized onions and garlic aioli served on a brioche bun, or the brie & grilled pear burger with bacon and onion on a ciabatta roll. With all the choices, you may have a hard time deciding. There is nothing pretentious about the North End Tavern & Brewery in Parkersburg, West Virginia. If you want a laid-back and relaxed atmosphere with great food, then you’ll want to check this place out. Known as the oldest restaurant and brewery in the state and one of the oldest bars in the country, eager eaters will enjoy trying one of the craft beers with their famous NET Burger fixed any way you like it. If you’re not a meat-eater, they have a vegan version that’s still great on flavor. You’ll want to drive full speed to Tubby’s Café in Clarksburg, West Virginia, and try one of the best burgers in the central part of the state. Don’t let the motorcycle theme fool you because it’s not a typical biker bar. Great home cooked food, cold beer, and delicious fries make for a great combo for a big appetite. Jim’s Drive-In in Lewisburg, West Virginia, has been serving up big taste for the price with simple down-home cooking for over 60 years. This little drive-in is everything you’d expect a drive-in to be with their homemade milkshakes and best cheeseburgers in a two-county area. It’s no wonder why Jim’s Drive-In is a favorite of locals and a come-to destination for those traveling through the area. Are you looking to fill a large appetite? Then look nowhere else than Big Joe’s in Charleston, West Virginia, and try the famous Juicy Lucy, a burger designed for just that. Filled with your favorite cheese, this giant burger comes with all the typical toppings served on a fresh sandwich bun. You won’t be disappointed with the homemade potato chips either. Try them with the blue cheese and hot sauce. If comfort food comes in the form of a great burger for you, then you need to visit King Tut Drive-In in Beckley, West Virginia. Open since the 1940s, this historic drive-in uses all the freshest ingredients, no preservatives, and nothing but the best flavors that keep customers coming back. Besides traditional burgers, they have a pizza burger made with hamburger, marinara sauce, green olives, and mozzarella cheese, and a Burger BBQ, a version of a sloppy Joe on a Grecian bun and served with coleslaw. Try the sweet potato waffle fries with your burger choice for a great combination.